The epitome of design versatility, carpeting continues to be one of the most popular flooring choices for both residential and commercial settings. Today, there are carpet options in a wide variety of colors and patterns, so there are very few limits, design-wise. At Barry Neal Carpet One Floor & Home of Altamonte Springs, FL we carry one of the region’s largest carpet selections, with a huge variety of brands and styles to choose from. Unlike hard-surface flooring, carpeting is extremely soft and warm underfoot, offering unlimited comfort. With so many options on the table, selecting your new carpet can be a daunting process, but we’ve certainly got you covered. Our onsite experts can guide you each step of the way and help you make a choice that’s a perfect fit for your unique household. A major factor in carpet function is fiber, or carpet pile. 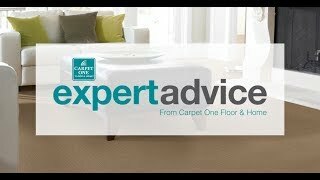 Carpet pile plays a vital role in how your new rug will wear as the years pass. Different pile types are comprised of various materials, and it’s important to priorities your needs as you select your carpet. Is stain-resistance a top priority? Are you looking for carpeting that can handle heavy-duty wear? Does someone in your home suffer from allergies? Or, does comfort reign supreme? Carpeting presents options for many types of interior settings. For family rooms, playrooms, kids’ rooms, and stairways, a durable and stain-resistant type of carpeting is a great option. Softer carpeting, such as plush or nylon, work great in your master bedroom, as they’re extremely comfortable under your bare feet. Carpeting shouldn’t be installed in areas prone to excessive humidity, such as your bathroom or laundry room. Barry Neal Carpet One Floor & Home is your one-stop source for all things carpeting. One of our most popular specialties is patterned carpeting, which creates an eye-catching surface and adds instant style to many types of settings. We’re members of Carpet One Floor & Home: the nation’s largest cooperative of independent flooring stores. As exclusive members of this small-business network, we can share with each customer our incredible buying power, outstanding services, and incredible pricing. Here, you’ll find your favorite carpeting brands, including many Carpet One Floor & Home exclusive brands. Browse our beautiful floor displays by LEES, Tigressa, Kane, Stanton, and Masland. Once you’ve picked the perfect carpet for your home or business, it’s important to do your part to keep it looking its best. Regular cleanings are recommended. Why blend in when you were born to stand out? With patterned carpeting, it’s easy to blend your signature style into your favorite spaces.